1 gal bottle (4X1 CASE, 1-9) Price is for a full 4-gal case (4 X 1 gal). Order Quantity reflects the number of full cases being ordered. 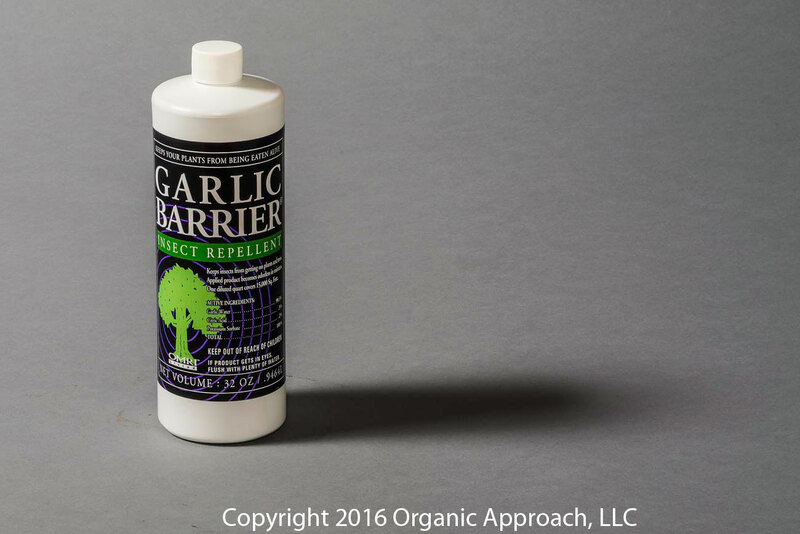 Garlic Barrier is a very strong liquid garlic extract that mixes with water and is sprayed on farm and garden plants to keep insects off. In fact, the garlic used in Garlic Barrier is a very powerful variety which is much more potent than the garlic found in grocery stores. One gallon, properly mixed with water, covers 10 to 12 acres of row crops or 5 acres of orchards. It imparts no garlic taste on any crops or plants that are sprayed. The odor of garlic in the air or on the plant disappears in about 30 minutes. It's all natural and listed by OMRI as suitable for organic farm use. It's marvelous for farm, home garden and lawn care use and completely safe around people, pets, animals and fish.